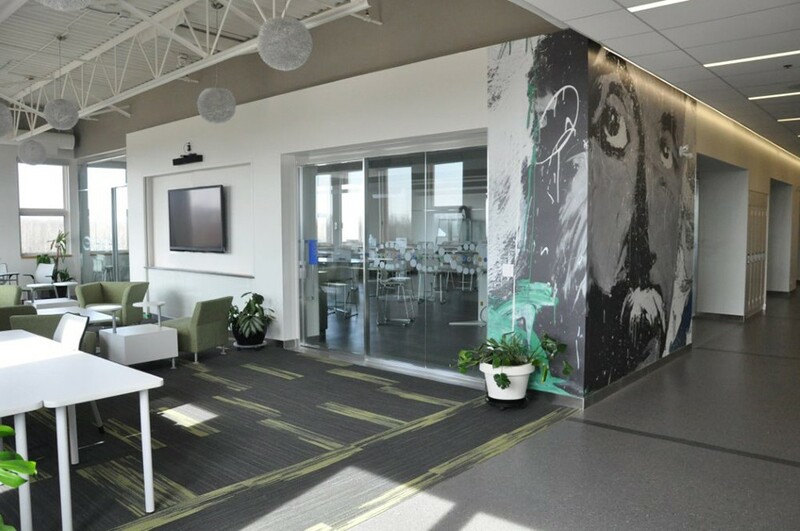 The Webber Academy Science Centre accommodates all high school science classes with a student collaboration room and five laboratory classrooms. 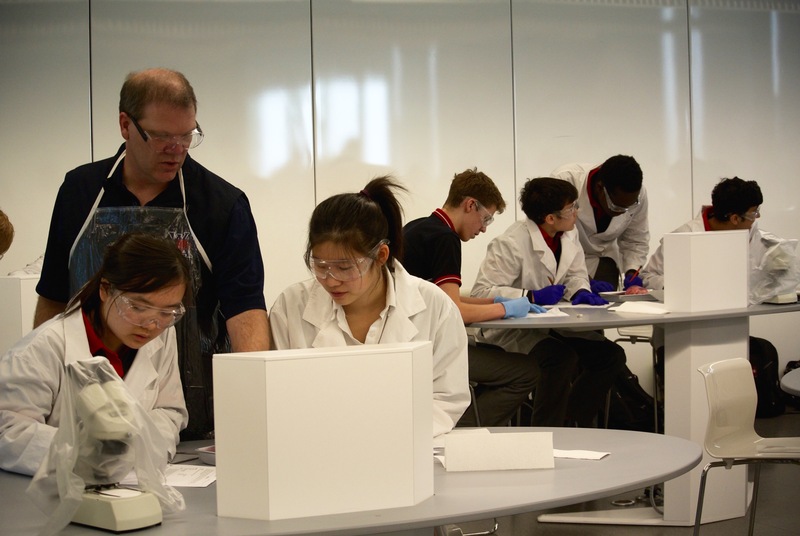 Biology 20 heart dissection laboratory with Mr. Rose. 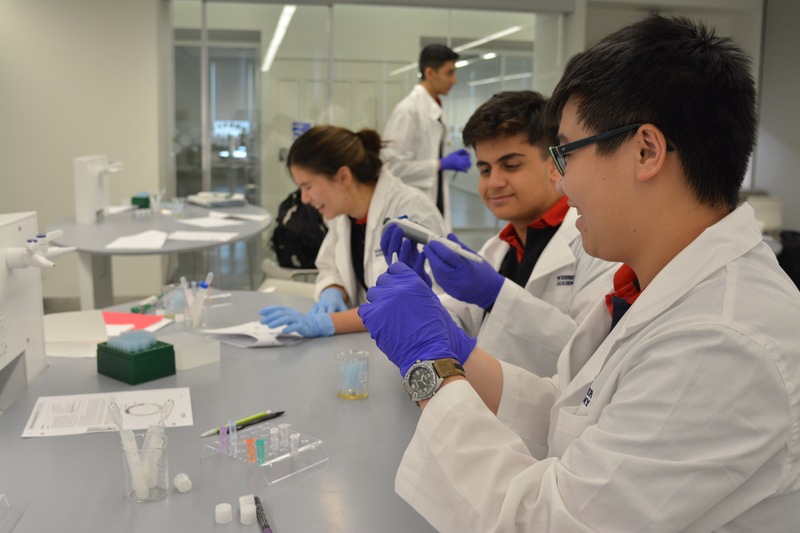 The Designer Genes Club students purify recombinant plasmids containing a plant housekeeping gene. 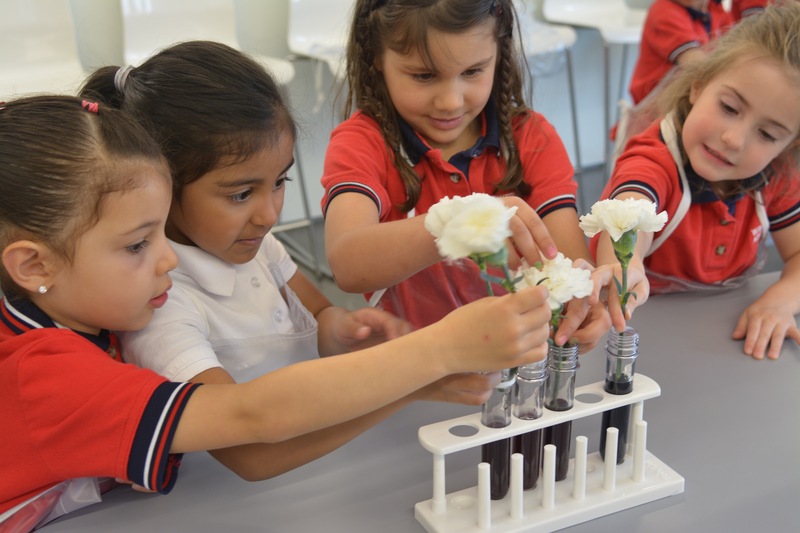 Junior Kindergarten students learning about water transport in plants by colouring white carnations. 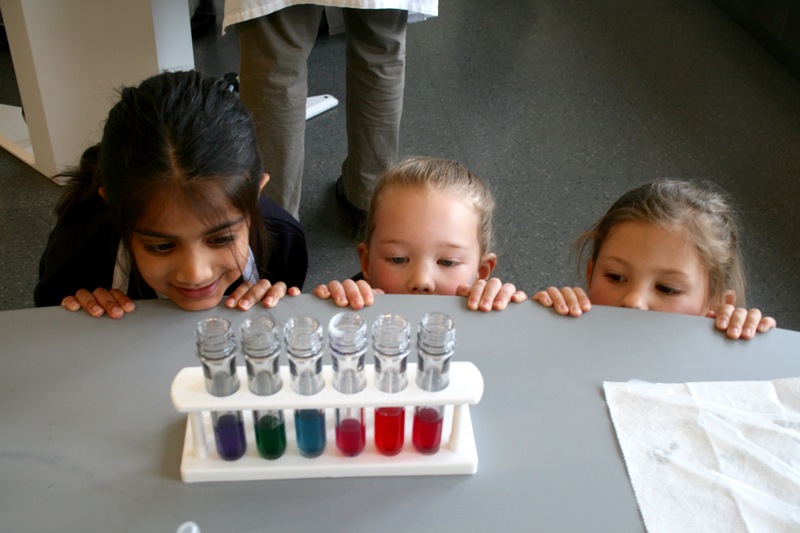 Senior Kindergarten students exploring acids and bases using cabbage juice. 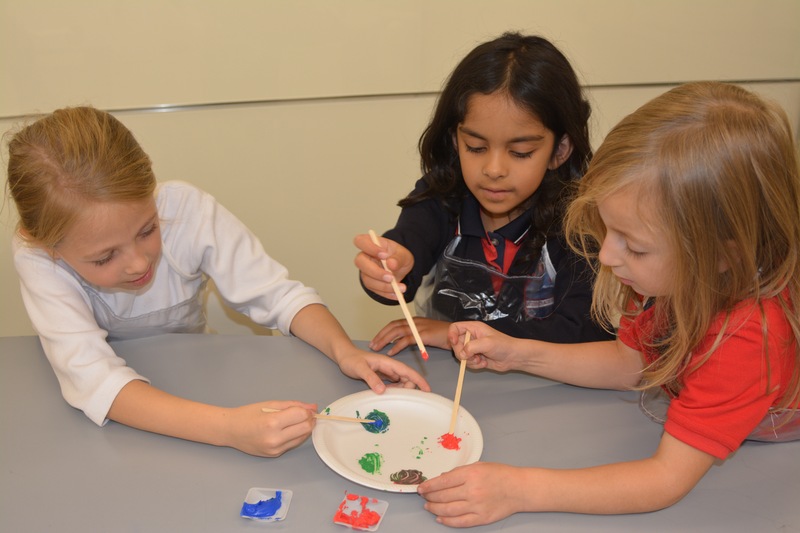 Grade 1 students discovering the difference between paint colours and light colours. 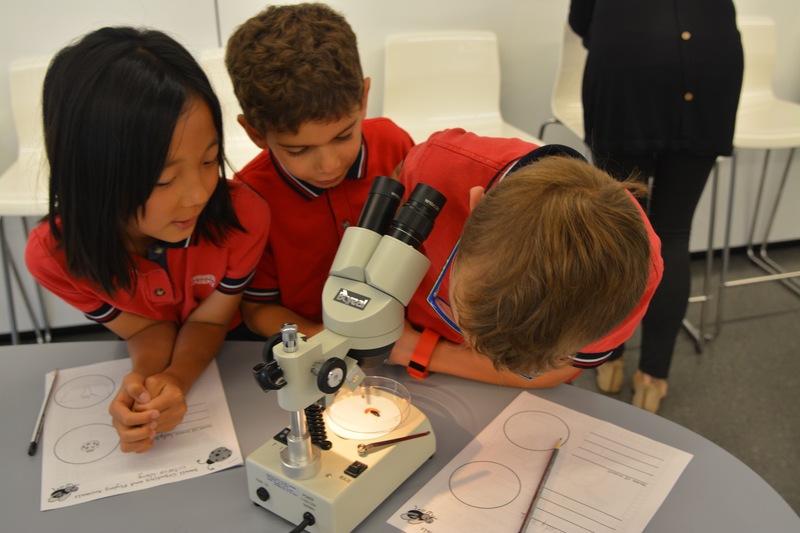 Grade 2 students observe different insects under the stereomicroscope. 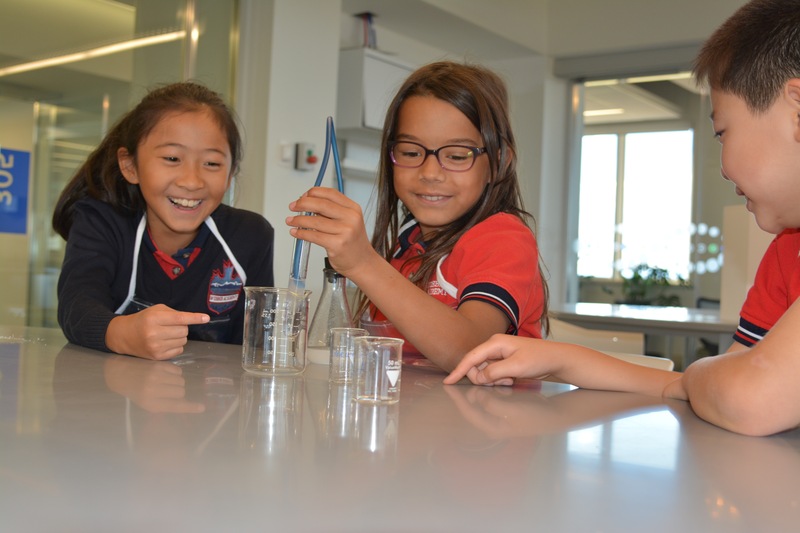 Grade 3 students testing the properties of calcium carbonate as a mineral present in some types of rocks. 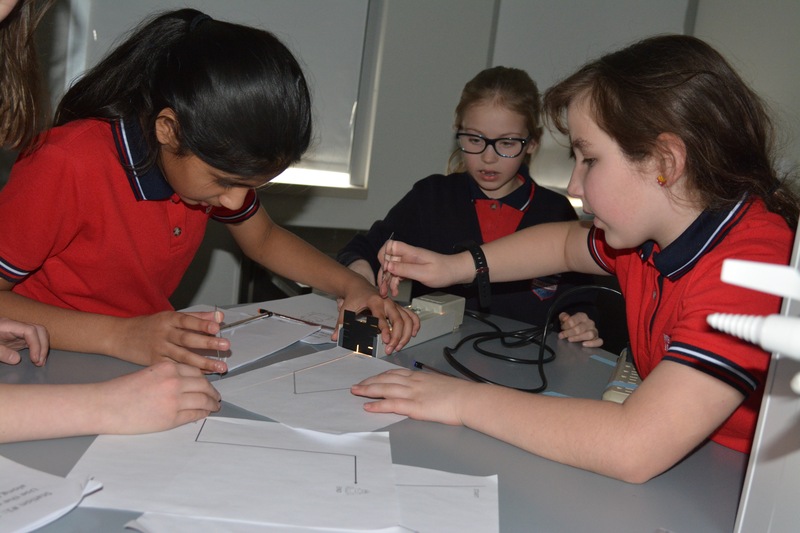 Grade 4 students having fun experimenting with light using mirrors, lenses and prisms. 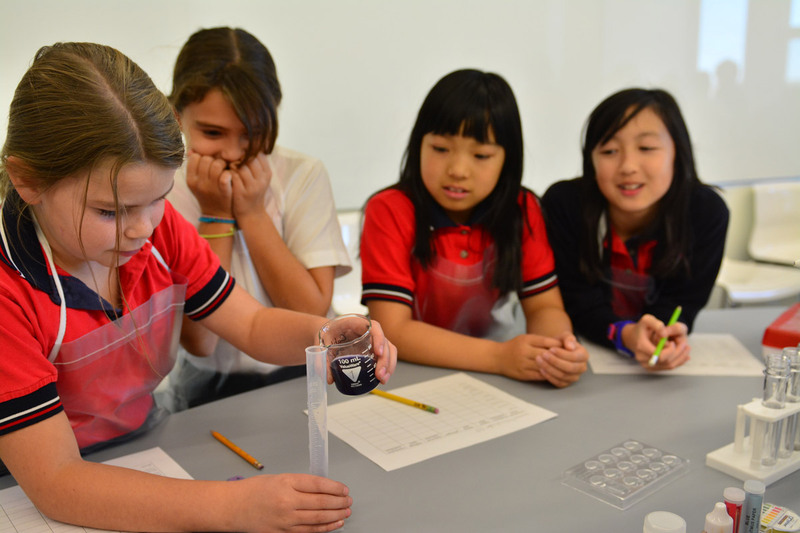 Grade 5 students testing acids and bases with different pH indicators.